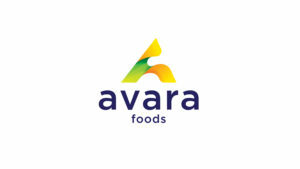 All of the below information comes directly from job reviews written by Avara Foods Ltd employees based on 10 reviews. - Having real accountability for my actions and the decisions that I take. Yes it can be a bit daunting initially, but knowing that there are people to support and guide me makes it easier! - The variety of my work. - The people. I get to work with colleagues from across the whole of the business in different functions and also external parties such as creative designers. - Being trusted and feeling valued. I'm trusted to make decisions, feel comfortable to make mistakes and feel valued by my team and the company. 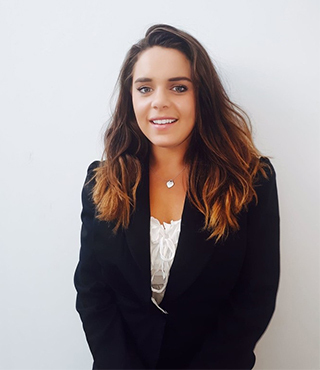 - Being able to get involved in a variety of projects and events across the company that are outside of my day-to-day role - this includes charity events, mentoring, and community projects. - Being able to travel across the country to different sites, to learn about all areas of our supply chain (from farms, feed mills, product development) and meet and connect with other colleagues who I wouldn't ordinarily see regularly. There's never a dull moment and no two days are the same. You're constantly learning on the job but I have a very supportive team around me and we all work together. I do have a lot of responsibility with my current role which is challenging at times but it's a great feeling to have so many people have the confidence in you to be able to manage that responsibility well. The people are what keeps everything going, there's a great bunch of young people so you'll never be alone for lunch which is a small thing that makes a huge difference if you're new to the company! Working with new departments you are exposed to more people within the organisation and it's a great chance to see how other people work and to see how different approaches work in different situations. Challenging projects in areas that I'm unfamiliar with but it's a chance to learn new skills and information. A lot of good opportunities to see things that others within the company may not get the chance to see. Good management and people to work alongside. Being able to transfer what I learn at college to on the job work, and I am given opportunities to solve problems that I haven't encountered before. Varied workload in a dynamic environment. Frequently presented with new challenges in new technologies. Potential for further development with recognised qualifications. I enjoy fixing problems so problem-solving and using your knowledge and skills to overcome issues. Making better products for the factory plus the training, experience and opportunities we are given. Working with such a supportive team has helped me learn so much in such a short space of time! I'm given the time to learn and develop skills that help make everyday tasks much easier. Research the company - show why you want to apply. Check and check again - get someone to run through your application, to check there are no little mistakes and help make a good first impression. Be yourself- interviews and assessment days can be intense but being as authentic as you can will stand you in good stead. Be prepared - make sure you have done your research on the Company and be prepared to demonstrate why you truly want to work there and are suited to the role. Try and relax and be calm- the interviewers know you are nervous and they aren't trying to trick you in their questions. Take a deep breath and gather your thoughts first. It's okay to ask them to repeat the question. Don't be afraid to ask questions - this is your opportunity to find out more about the company, the role and anything else! Be on time and make sure you are presentable - first impressions count. Even if you've never heard of the company or have a degree that you don't think relates to the job role, apply anyway! There are so many graduates that come into the company that would never have thought they'd end up there but there are so many different roles within the business that you would never know about and so many different possible career paths that it's worth applying and getting involved. They look for qualities within the person as well as education so everyone has a chance. It's probably said over and over but be yourself! They're not looking for who has the most polished interview answers, they're looking for who answers honestly and has a like-minded approach to the company. The assessment days are all about getting to know you as a person rather than an inquisition. You will be asked the 'describe a time when..' questions but make sure you do use a real life experience, even if it's from uni (I did) as they're looking to see what you've learnt from that experience and how you can apply it so will be able to tell if it's not your own. Get to know a bit about the company and the values that are important; try to make links to examples where you have demonstrated you follow similar values. Think of examples from work or other experiences where you've shown leadership, teamwork or thinking outside the box. Make sure that you consider how you could have improved the outcome or what you learnt from these experiences. Show a willingness to learn and work hard. Sell yourself, but provide tangible examples (Improved by 20% for example). Do your research - company, market (challenges/opportunities). Be confident in your own ability. Enquire about opportunities within the business (training/job opportunities). - The people. Having such a diverse workforce means there are more people to share their knowledge and experience. - The culture. I feel valued, confident to by myself and comfortable to give feedback - to anyone, no matter what level they are. - The company ethics. I trust that they keep their promises and do the best for their people. They do look after their own and are very much about keeping and holding onto people. Once you're in there's huge opportunities for your career and flexibility so if you want to try something new there are chance for you to do so. Without doubt the people are different to anywhere else I've experienced, and really make the company. Values and ethics, doing things the right way. Family ways of working rather than corporate. New business therefore there are still alignment challenges, but they're being solved.